Monday - Friday: 8:30 am to 12:30 & 2:00 pm to 6:00 pm. 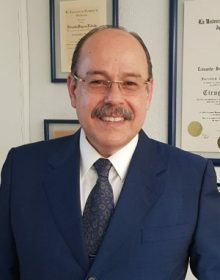 Dr. Estuardo Behrens, founder of the New Life Center for Comprehensive Metabolism and Obesity Treatment in Guatemala, is a globally-respected surgeon, and a medical instructor who has trained hundreds of young surgeons around the world in gastric procedures and advanced video laparoscopic surgery. Since beginning his practice in the 1980’s, Dr. Behrens has performed over 4000 gastric surgeries, 60% of which are to treat obesity. 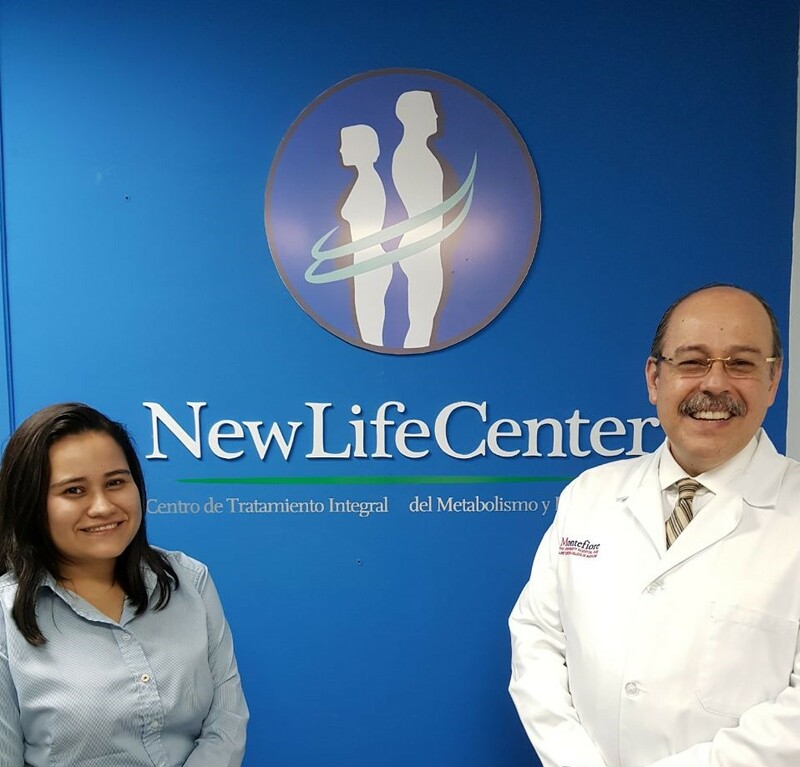 Patients from Guatemala, and from several other countries in Europe and North America, have come to the New Life Center to find the weight-loss success they always dreamed of. As a young man, Dr. Behrens has always felt the calling to help others, which led him to a career in medicine. 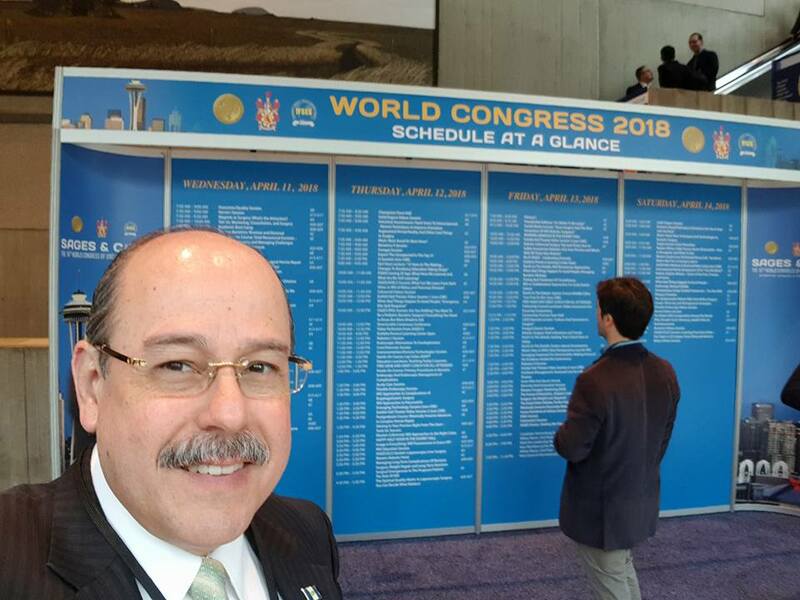 These days, in his third decade of providing life-changing and life-saving surgeries for thousands of patients, Dr. Behrens devotes several weeks per year to making presentations at medical symposia and workshops worldwide. 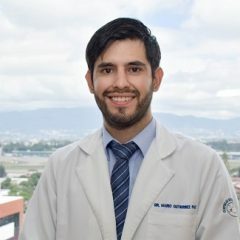 His unique experience and outstanding success rates are the tools that will guide and instruct the young doctors of today, entering a new generation of medical capabilities. 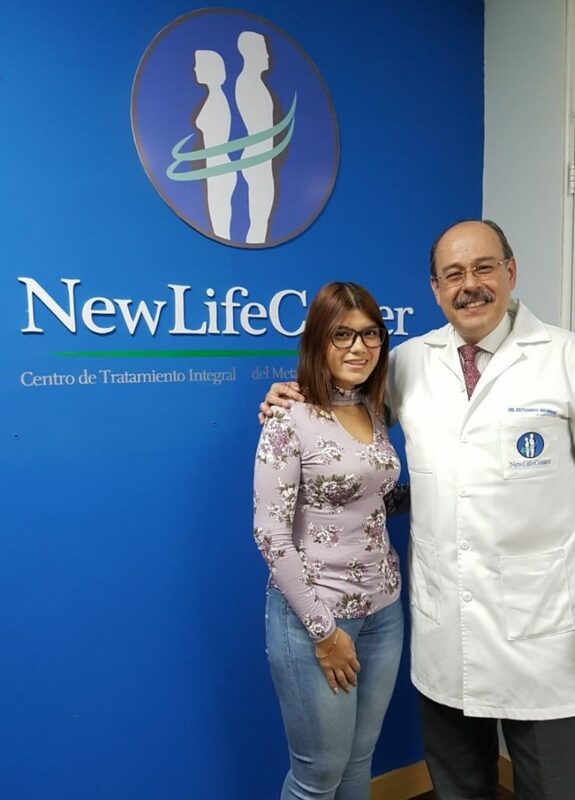 New Life Center is a center of excellence for weight-loss surgery, offering the best options for a healthy lifestyle at the ideal weight. 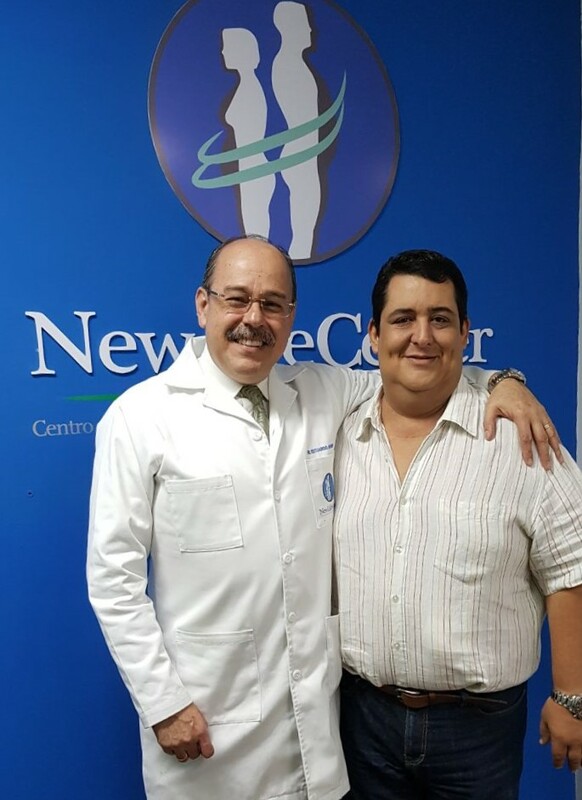 They opened in Guatemala City in 2000, in two locations: Hospital Herrera Llerandi and the Hospital Las Americas. They provide medical technology to the highest global standards, as well as personal attention in accommodations, emotional support and long-term assistance. 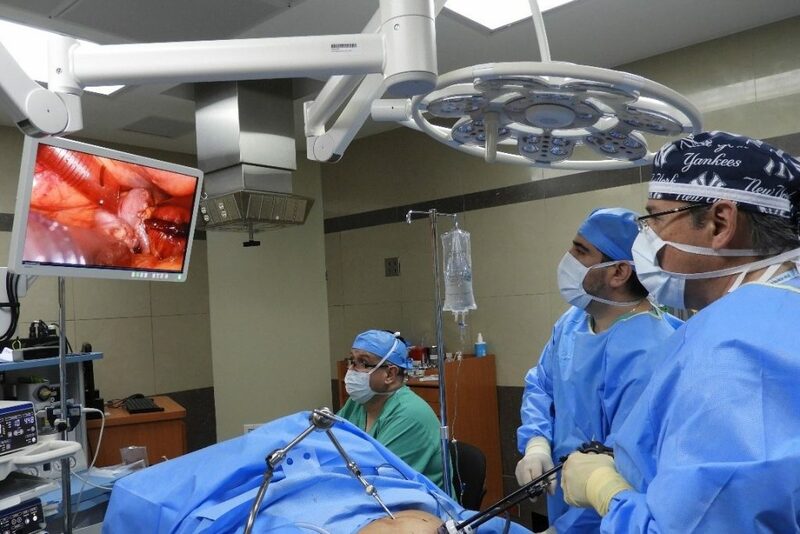 Behrens is an expert in advanced video laparoscopic surgery, to assure superior accuracy during the procedure, less pain for the patient, and faster healing time to resume daily activities. Comprehensive care includes consultations and advice from specialists in cardiology, nutrition, pneumology, psychiatry and internal medicine. Hotels and apartments for patient recovery are considered from a long list of quality indicators focused on impeccable personal comfort, resort amenities, easy access and of course, optimal results. 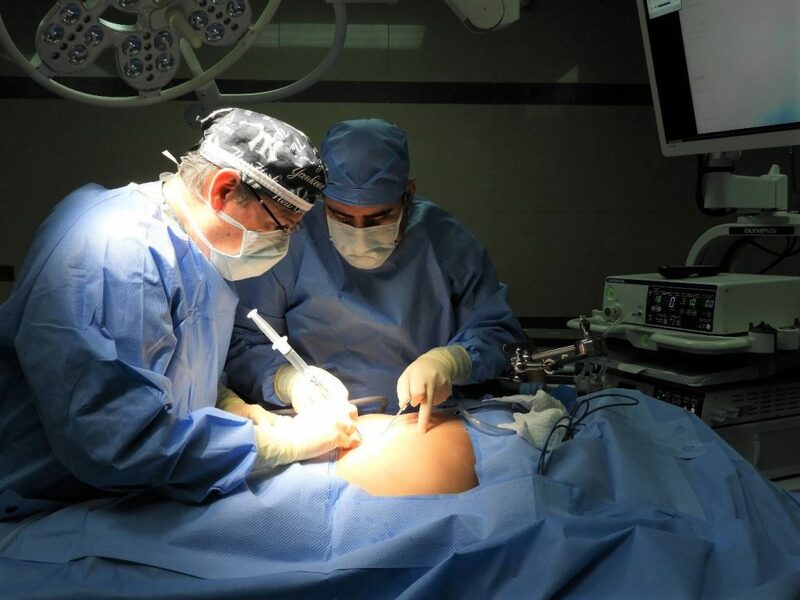 Obese patients may choose gastric surgeries described as metabolic procedures. 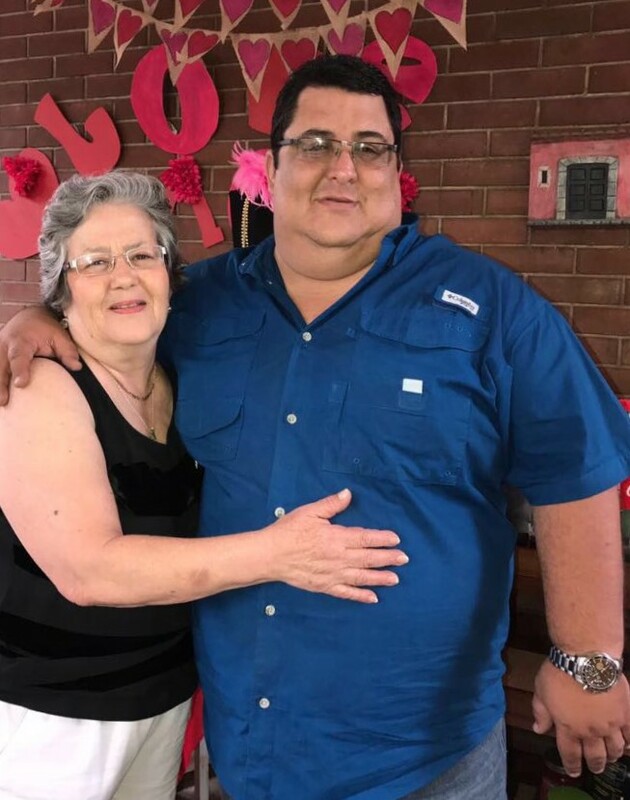 At 100 pounds or 45 kilos overweight, the patient’s entire body changes, placing stress and resistance on the heart, circulation, metabolism, joints, organs and digestive system. 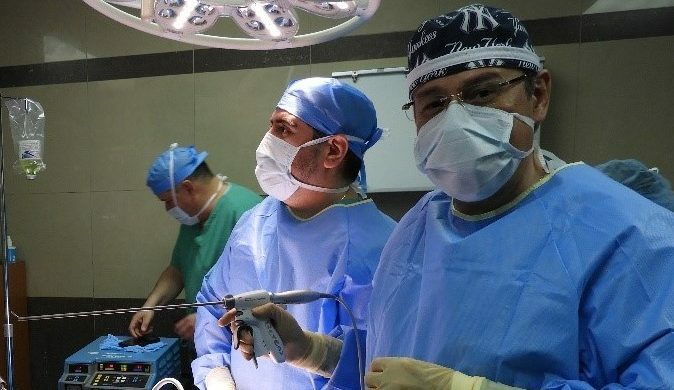 After having a life-changing surgery to reduce to normal weight, patients no longer suffer from the associated afflictions, like Type II diabetes, metabolic disorders or high blood pressure. Living at a healthy weight energizes your lifestyle, improves your outlook, and supports long-term health and well-being. 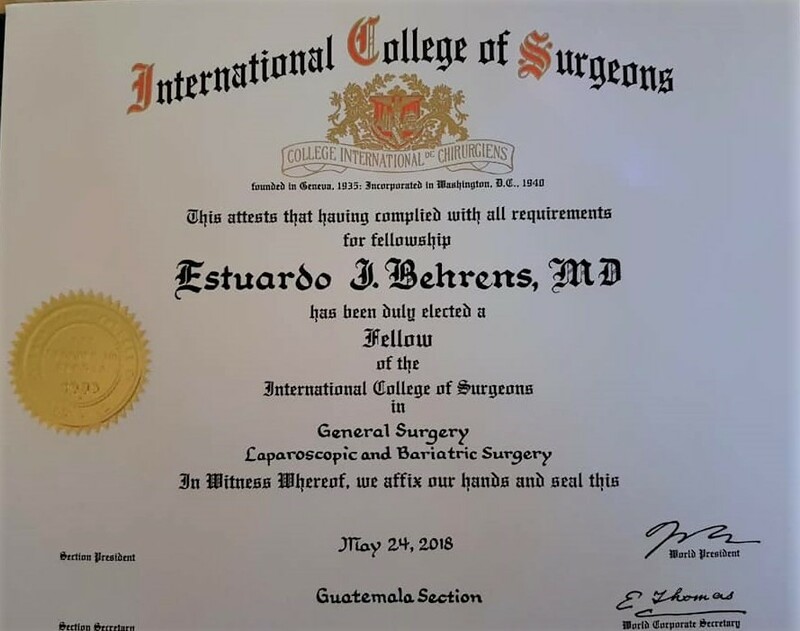 Dr. Behrens is the only certified bariatric surgeon in Guatemala, so he can offer the latest techniques in metabolic and gastric surgery to his patients who expect their medical providers to realize their weight-loss goals to the highest global standards. 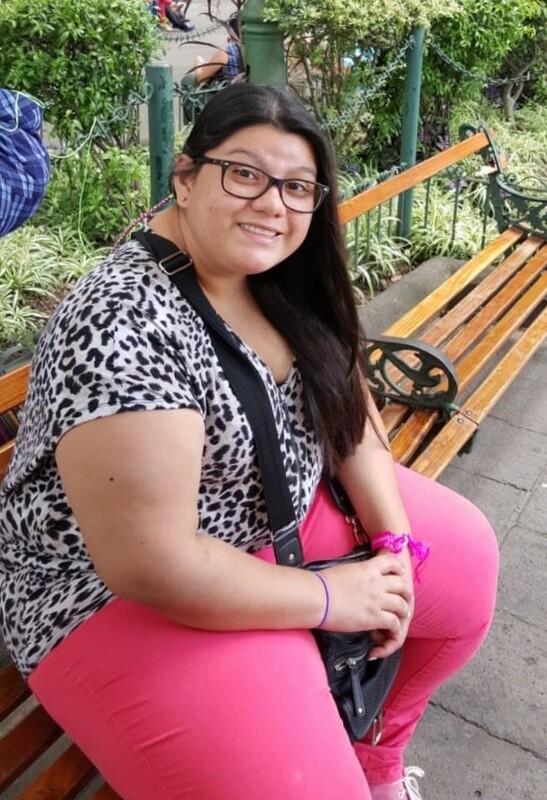 Gastric sleeve procedure, also known as sleeve gastrectomy, is a restrictive procedure, as it consists of removing the part of the stomach that produces hormones which causes hunger. When the stomach is reduced in size, the patient eats smaller portions less frequently. They feel fuller for a longer period of time, while the body absorbs fewer calories. Gastric Bypass is one of the most successful procedures in the world to treat obesity for the long-term. 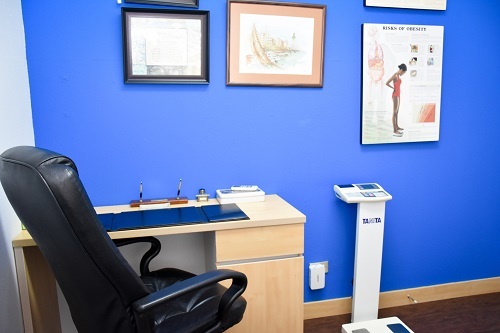 The body absorbs fewer calories allowing the patient to lose weight in a healthier way. 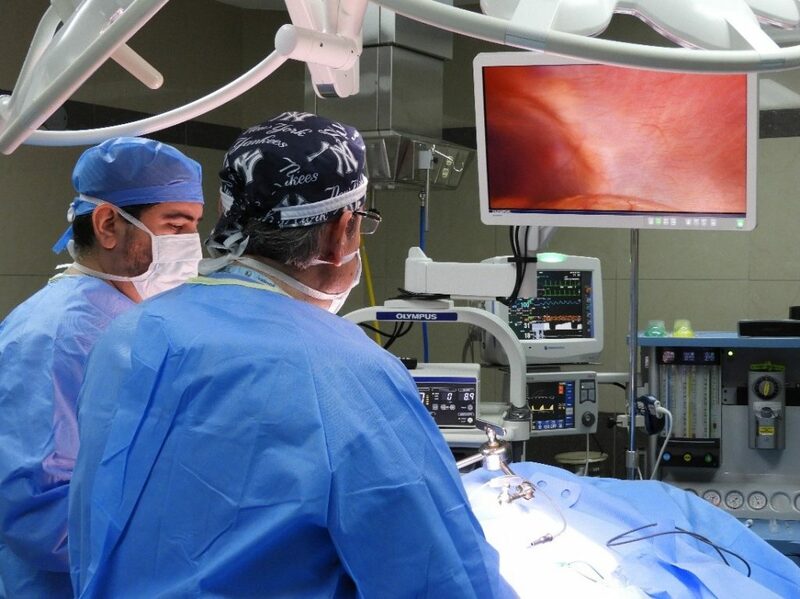 This procedure is an anatomical modification of the digestive system and involves cutting the stomach and leaving a small part of it connected to the intestine. 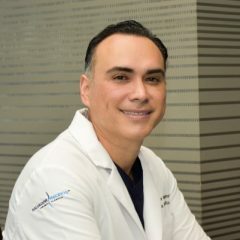 Although Dr. Behrens find the greatest success in treating morbidly obese patients, he regularly performs dozens of other gastric procedures: esophageal anti-reflux surgery, laparoscopic colectomy, hernia repair, and gall stones, to name a few. 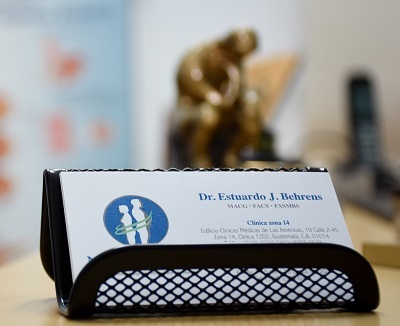 When so many patients regard Dr. Behrens’ surgical skills as life-saving, it’s no wonder they have started an on-line support group to share their own positive experiences, and to invite other patients who might consider having a bariatric procedure. 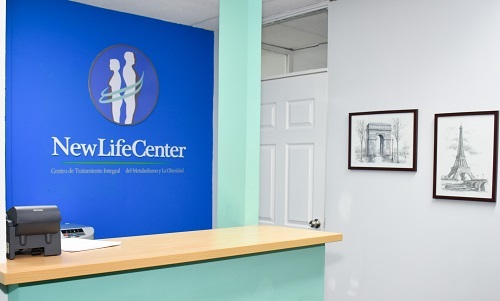 Dr. Behrens says, “When we have these experiences and hear these comments, all of us at New Life Center know that our mission has been accomplished. Dr. Behrens’ passion for his work, and warm, welcoming outlook make all the difference. 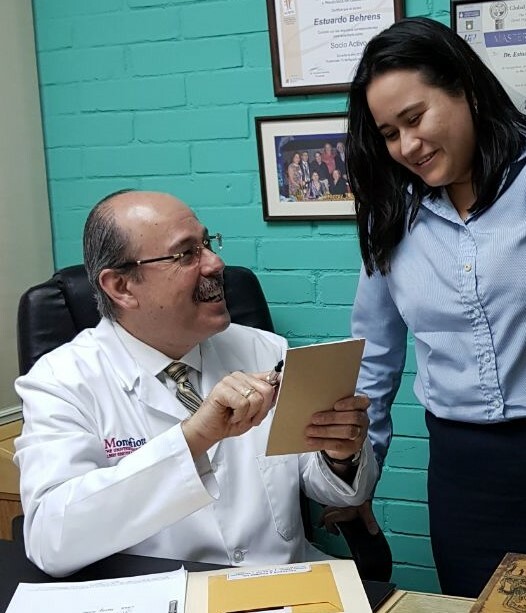 We expect medical excellence, but when patients are treated with respect and compassion, it gives us confidence, satisfaction and ultimate success, so that we feel truly blessed. Video: Invitation to the Convention. Miembro Activo, 2007 a la fecha. Active Member 2007 to present. 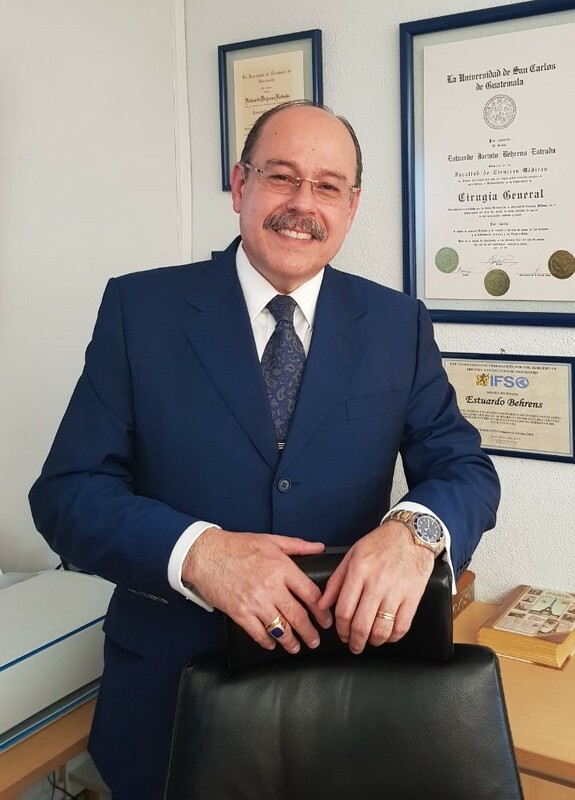 Reconocimiento de 25 años de ser miembro y dedicación constante en la superación académico y científica, competencia y ética en el ejercicio de la cirugía, julio de 2018. 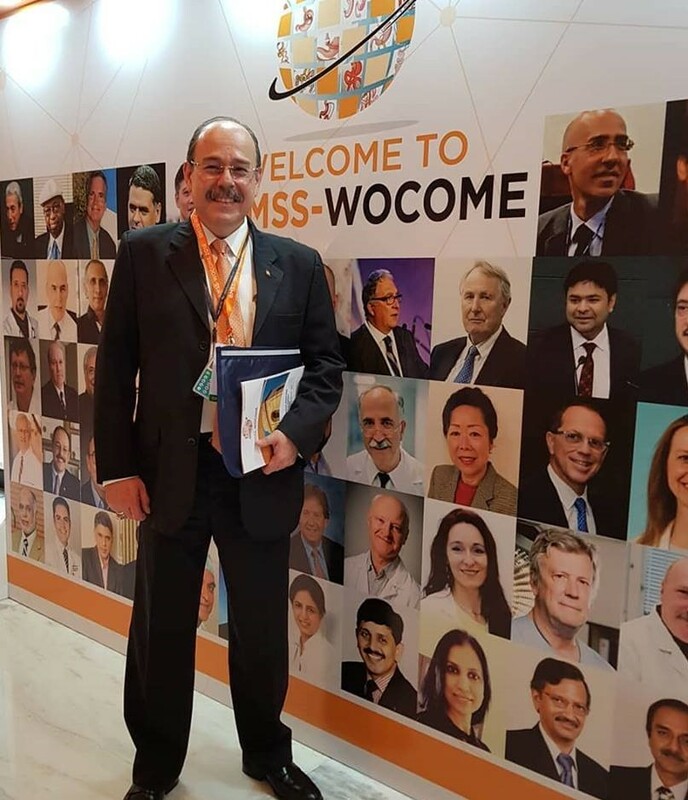 Recognition for 25 years of membership and dedication to academic and scientific excellence in his surgical practice, July 2018. Hospital General San Juan de Dios – HGSJD, Departamento de Cirugía General, Guatemala. General Hospital San Juan de Dios, Guatemala City. 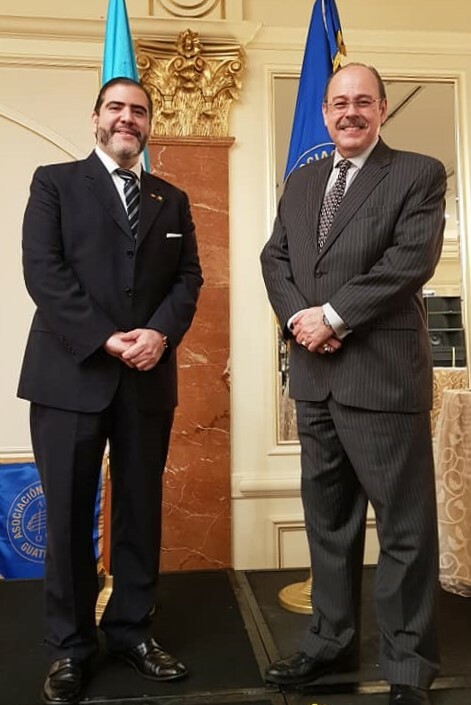 International College of Surgeons, Washington, D.C. Fellow of the American College of Surgeons, FACS. 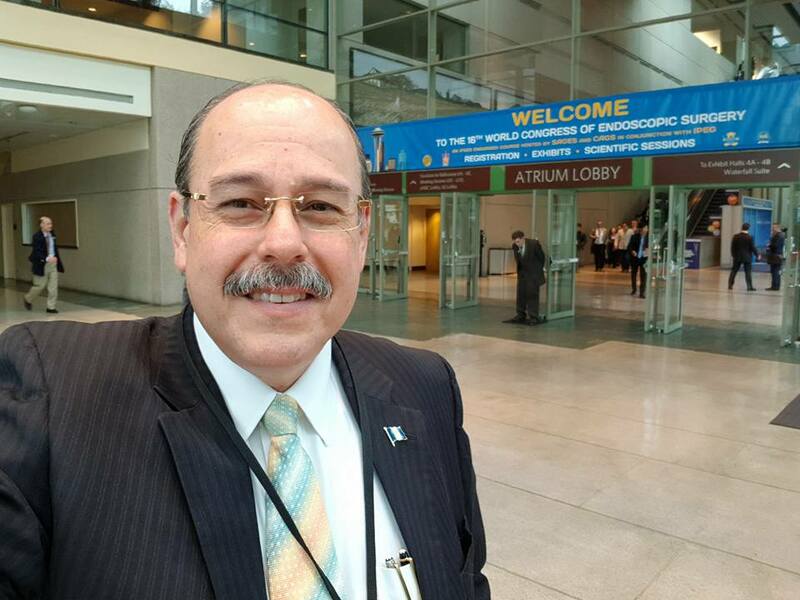 Society of American Gastrointestinal and Endoscopic Surgeons, SAGES. 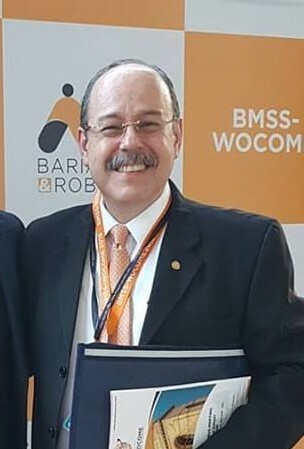 Invited Guest Speaker, London, England, 2017. Presentor Invitado, Londres, Inglaterra, 2017. 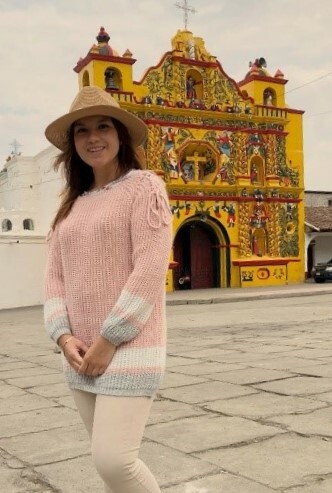 Capitulo Capítulo Latinoamericano, Director Ejecutivo, 2013 a la fecha. 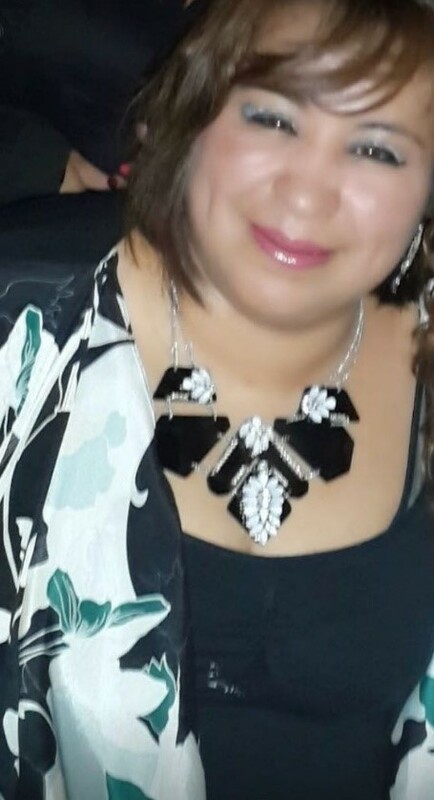 Executive Director from 2013 to present. 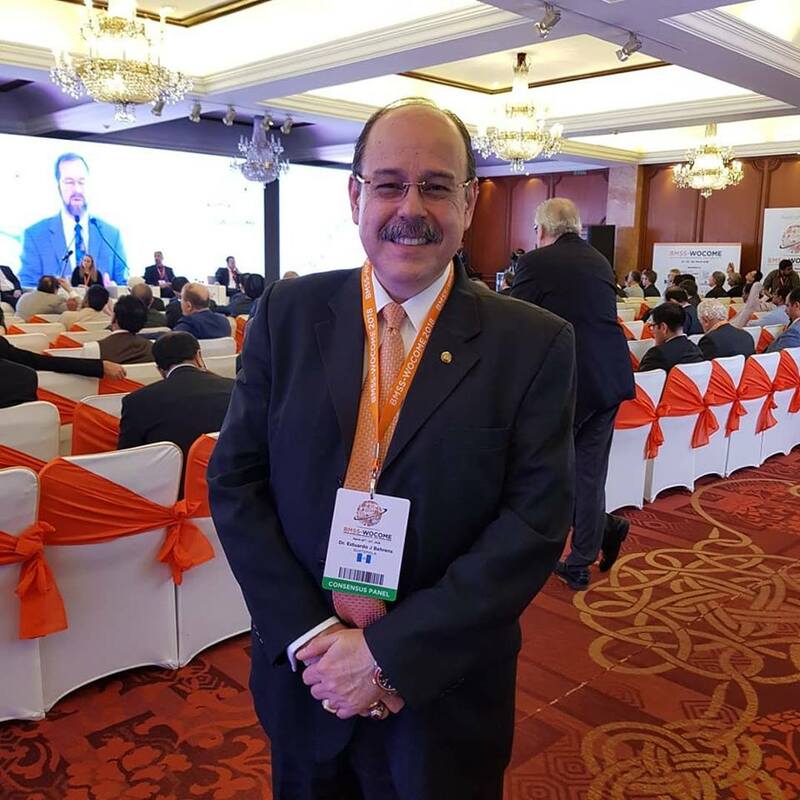 The Diabetes Surgery Summit, an international consensus conference, was convened in collaboration with leading diabetes organizations to develop global guidelines establishing recommendations regarding gastrointestinal operations. 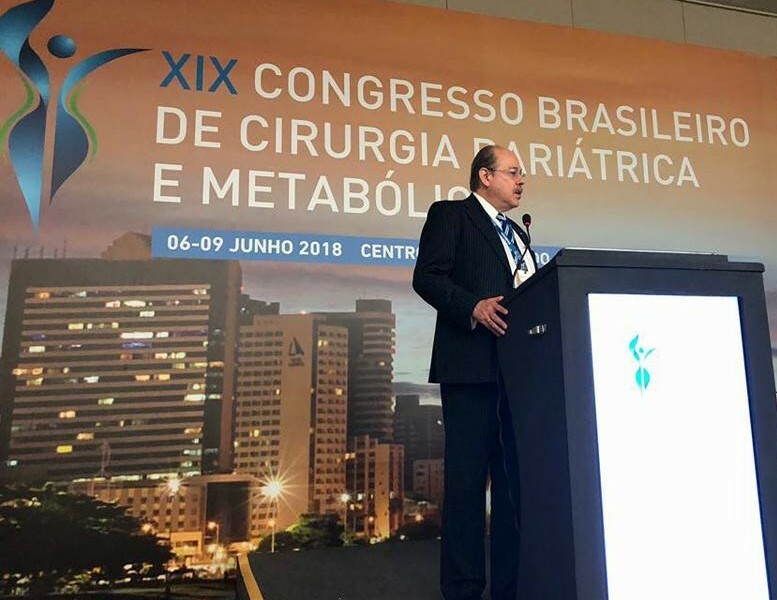 They inform clinicians and policymakers about benefits and limitations of bariatric/metabolic surgery to powerfully improve treatment of Type II Diabetes. 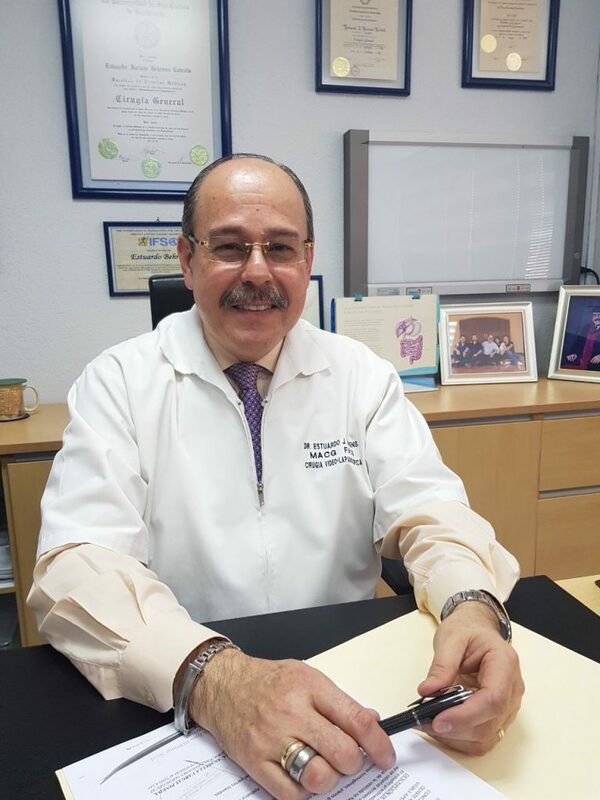 La Diabetes Surgery Summit, se convocó en colaboración con las principales organizaciones de diabetes para desarrollar pautas globales que establezcan recomendaciones con respecto a las operaciones gastrointestinales. 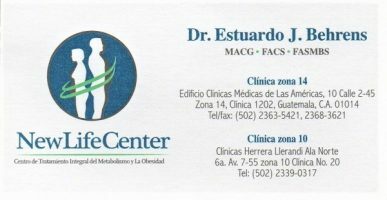 Esta entidad informa a los médicos y a los legisladores sobre los beneficios y las limitaciones de la cirugía bariátrica / metabólica para mejorar significativamente el tratamiento de la diabetes tipo II. 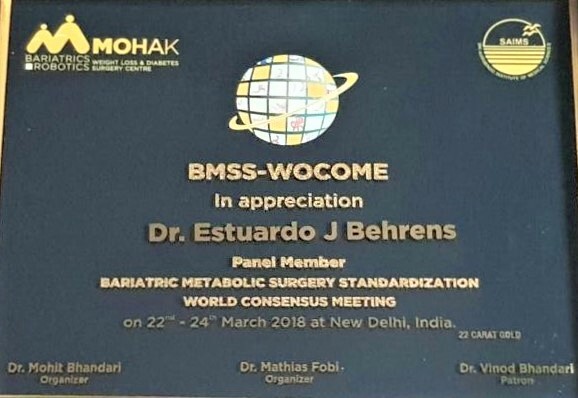 American Society for Metabolic and Bariatric Surgery, ASMBS. Member of the International Committee, 2013 to Present. Miembro del Comité Internacional, 2013 a la actualidad. Membership Committee, 2013 to present. Miembro del Comité, 2013 a la actualidad. Society for Surgery of the Alimentary Tract, SSAT. Special Training in Laparoscopic Bypass Surgery, 2002. Entrenamiento Especializado Bypass Gástrico Laparoscópico, 2002. Special Training in Laparoscopic Gastric Bypass Surgery, 2000. 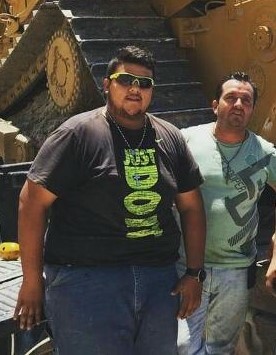 Entrenamiento Especializado en Bypass Gástrico Laparoscópico, 2000. Hospital Ángeles del Pedregal, D.F, México. Special Training in Anti-Reflux Laparoscopic Surgery, 1995. 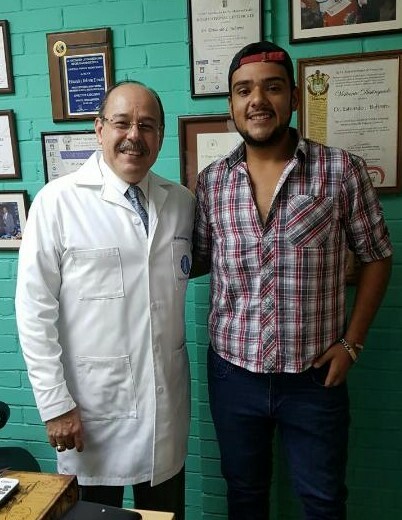 Entrenamiento especializado en Cirugía Laparoscópica Anti-reflujo, 1995. Methodist Hospital, Houston, Texas, USA. Special Training in Laparoscopic Surgery, 1991. 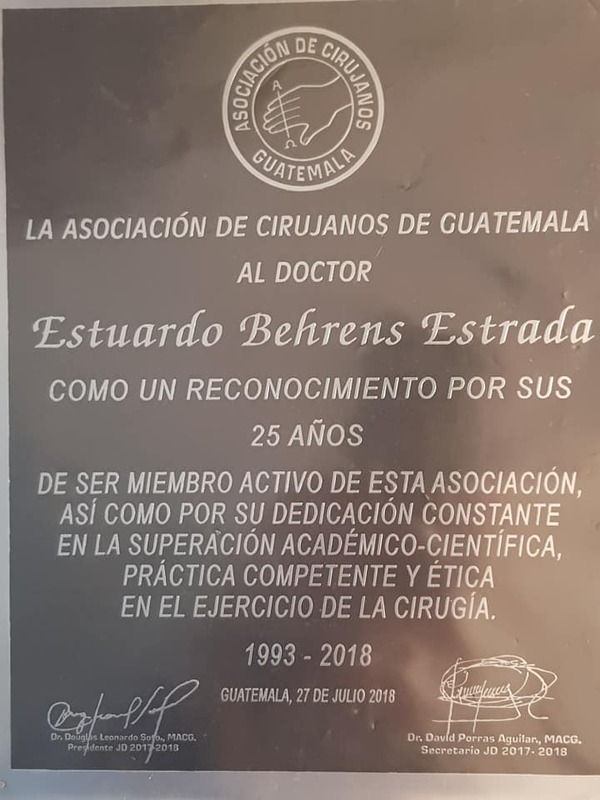 Entrenamiento especializado en Cirugía Laparoscópica, 1991. Jefe de Residentes 6to año, 1990. Chief of Residents, 6th Year, 1989-1990. 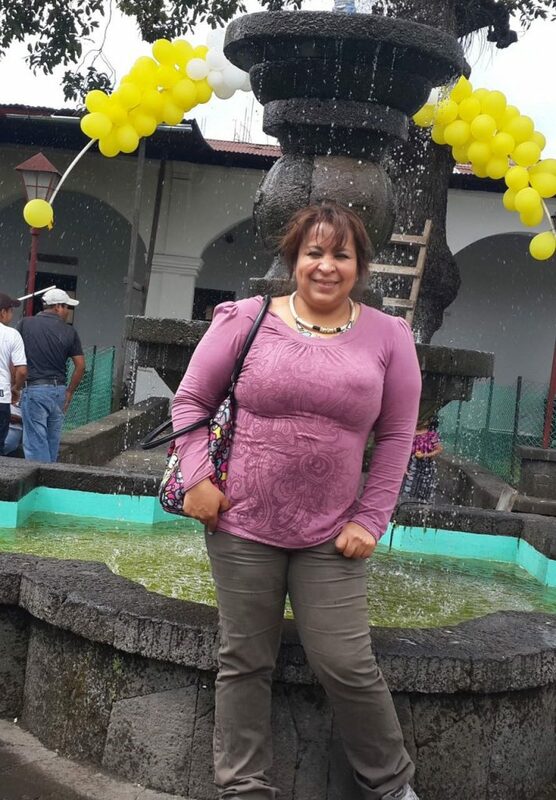 Universidad de San Carlos – USAC, Facultad de Medicina y Ciencias, Guatemala. 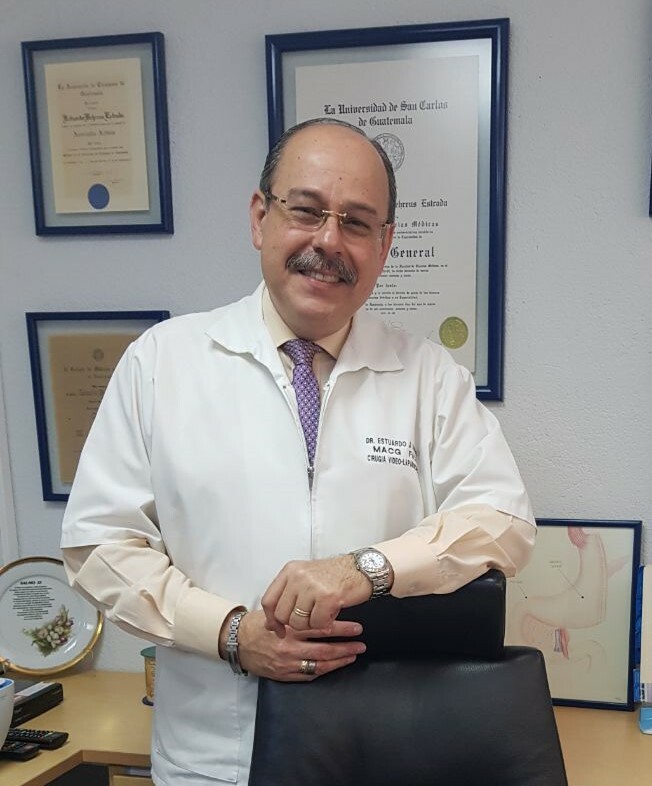 Dr. Estuardo Behrens has made more than one hundred presentations at conferences around the world since 1985. 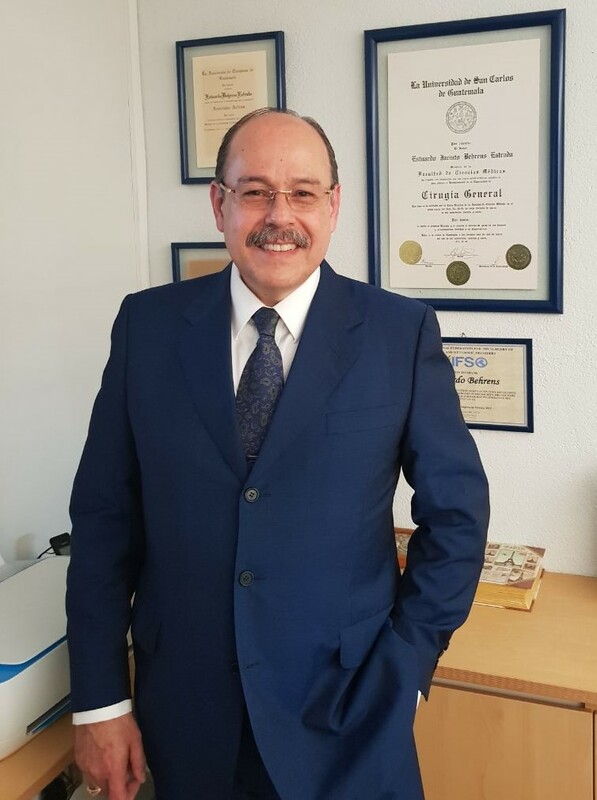 He has written 21 scientific articles published in various respected medical journals, including the Journal of the American College of Surgeons, the Revista Guatemalteca de Cirugía, and the Official Journal of the American Society for Metabolic and Bariatric Surgery (ASMBS). Medical School textbooks include three chapters written by Dr. Behrens, so that young doctors can benefit from his extensive experience. Montblanc’s tale began with the creation of our Meisterstück fountain pen in 1924. Perfectly handmade with the finest of European craftsmanship, the iconic writing instrument has secured cult status and it has grown to include a variety of magnificent collections. Our precious writing instruments record the moments of your life, each one is meticulously crafted by hand to the finest of Swiss tradition. 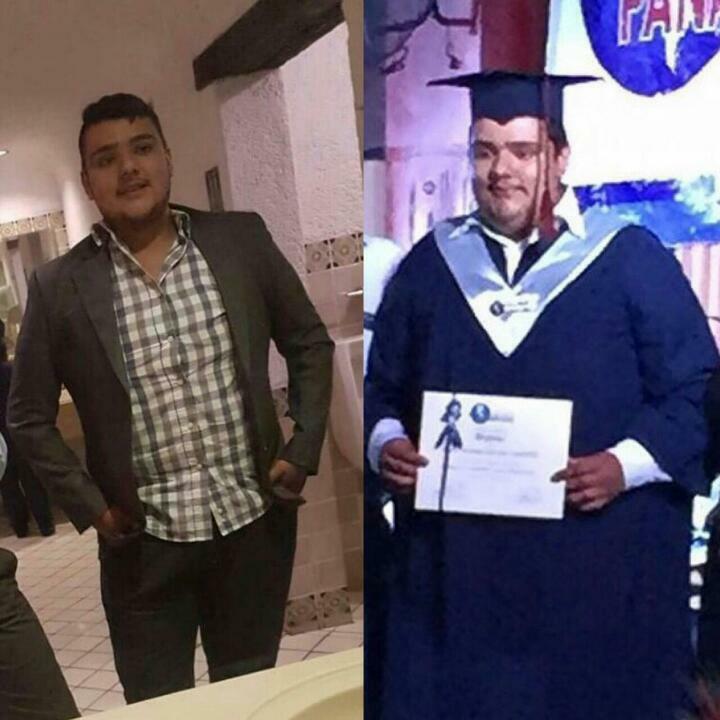 The only thing I regret about my weight loss surgery is not having had it before. 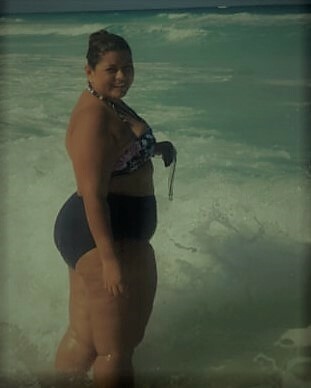 I always had weight problems, I knew every diet and exercise. Nothing worked for me! I needed a definitive tool and now I am very happy with my life. Three years later, Doctor Behrens and his team have not left me alone. 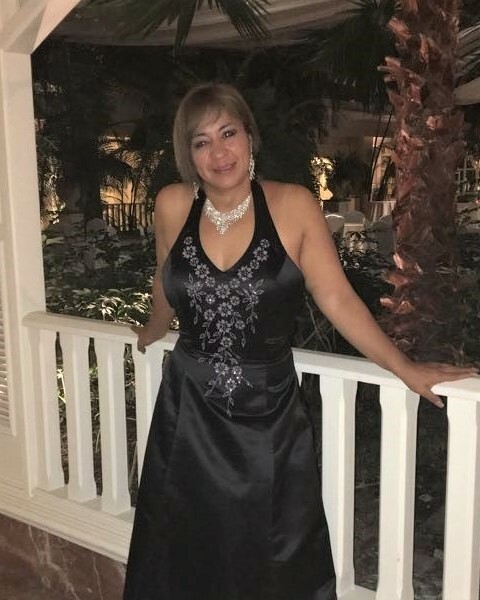 I have maintained my weight and I no longer have diabetes or high blood pressure. I was feeling dead in my life, so I came to have you operate on me, doctor. You changed my life. Today I have a healthy and satisfying life, just like you promised me. 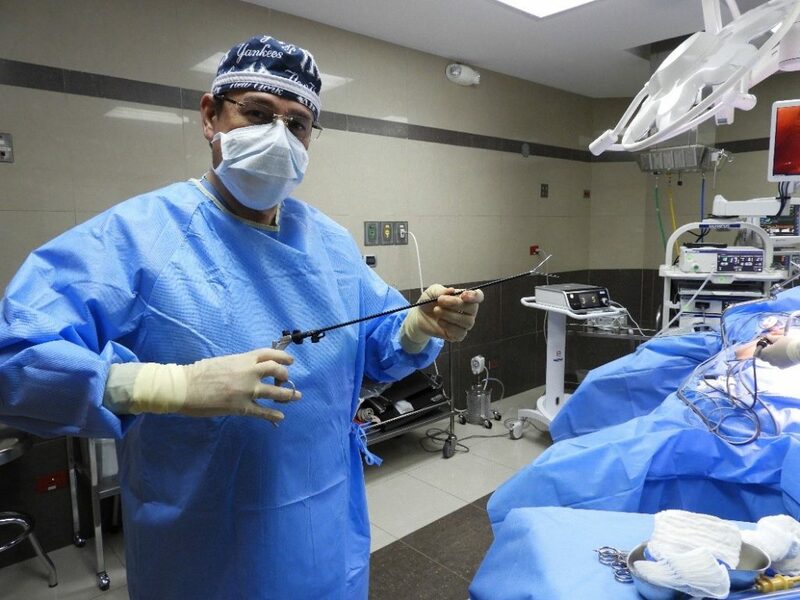 Dr. Behrens participates in medical missions throughout Guatemala to contributes his medical talents at no cost to patients in need of specialized gastric procedures. 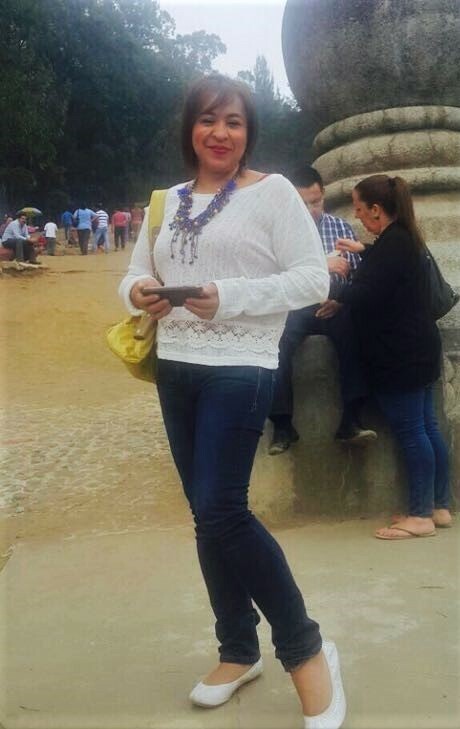 The foundation is a tribute to his mother, Marlene Estrada de Behrens. From Avenida Las Americas, turn right/east on 9th Street, go four blocks, turn right on 4th Avenue and take the next right on 10th Street. The hospital clinics are two blocks up, on the right. From Avenida Reforma, turn right on 6th Calle, go five blocks and turn right on 6th Avenue. Hospital Herrera Llerandi is two blocks south, on the left.